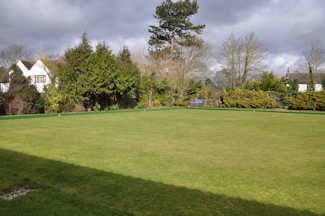 Meldreth Bowls Club has a 6 rink green in a picturesque village setting located opposite Holy Trinity Church. The upkeep and maintainance is carried out by our members who are dedicated to keeping it in tiptop condition. 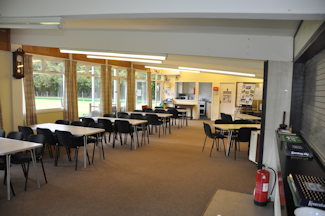 Our clubhouse boasts an extensive lounge, kitchen and bar area. The well stocked bar is avaiable to members and guests and in addition to being used to support bowling events it is used for a range of social activities. Our members are what makes the club tick. As well as playing in friendly and competitive matches there are many social events throughout the year. The club is always open to new members of all abilities and our more experienced members are on hand to offer help and advice. 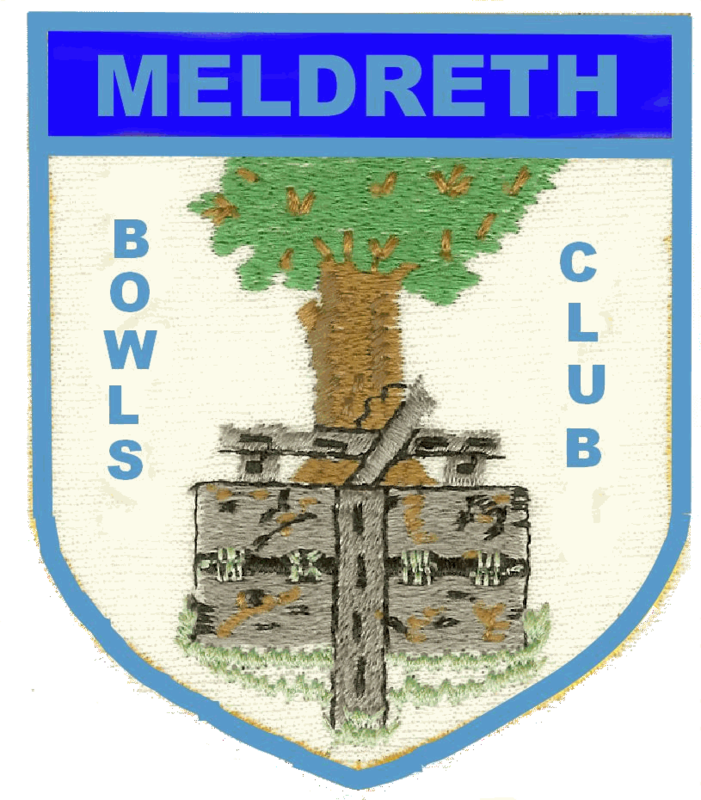 Meldreth Bowls Club was established in 1932 and now has about 40 members. Some are social members who take part in various events during the year. You can find us near the church. There is a spacious club house with a bar. Whether you want to be competitive or just play for fun you are in good company. We play in County Triples, Meldreth & District and Foxton Midweek leagues. On Tuesday mornings at 10.30 a.m. there is a roll up (practice session) with coffee and cakes, where our Members will be pleased to see you and give you advice on how to play. On Monday evenings we have a club night and some training so if Tuesday is not convenient please come along then. 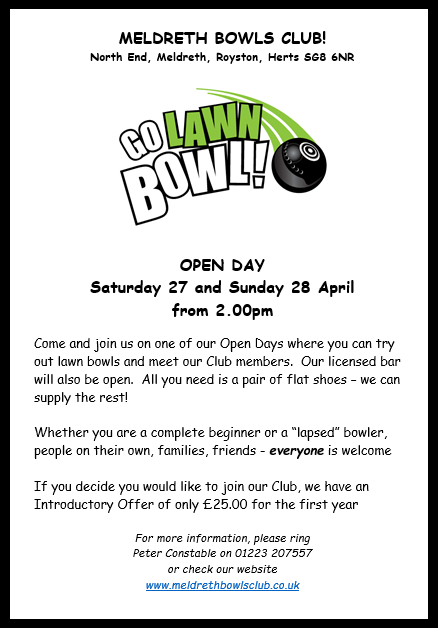 We have a number of Open Days throughout the season (which runs between April and September), so if you have ever driven past a bowls match, or watched one on TV and wondered what it would be like to play, why not come along and try? 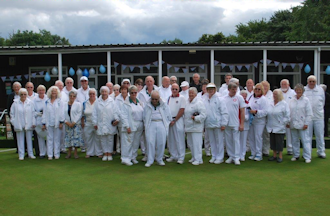 © Meldreth Bowls Club - 2019. - This website is designed and managed by Simon Hatch.